Welcome to Wallpaper Wednesday, and today’s offering. This is called Brooklyn Tin Tiles and can be found at the fabulous Rockett St. George. Recently, on my day filming with Linda Barker she showed us a roll of this that she had saved from a recen job I was instantly taken with it and came away ready to find out more it’s a little more expensive than many papers I often show, but thought it was worth it. 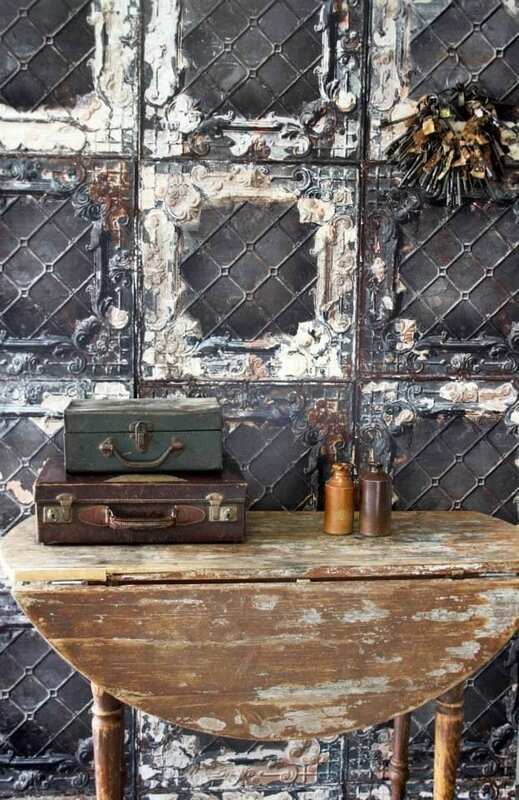 Perfect if you love the industrial look and ideal to use it in any room, even the bedroom. Prices start at £219 per roll. Available from Rockett St. George. 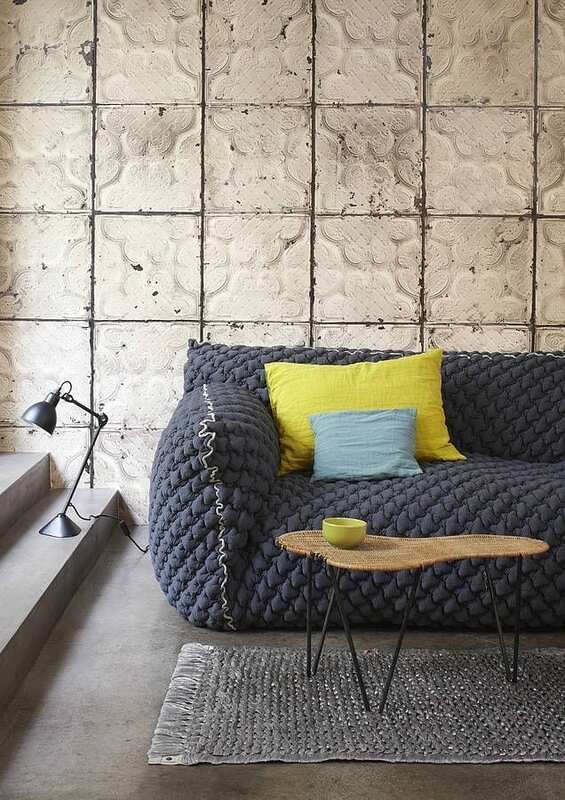 Love the wallpaper of course, but where is the amazing sofa from?